The festive season is nearly upon us, what better time to thank your clients for their custom, and remind them that you’re still available in the year to come. 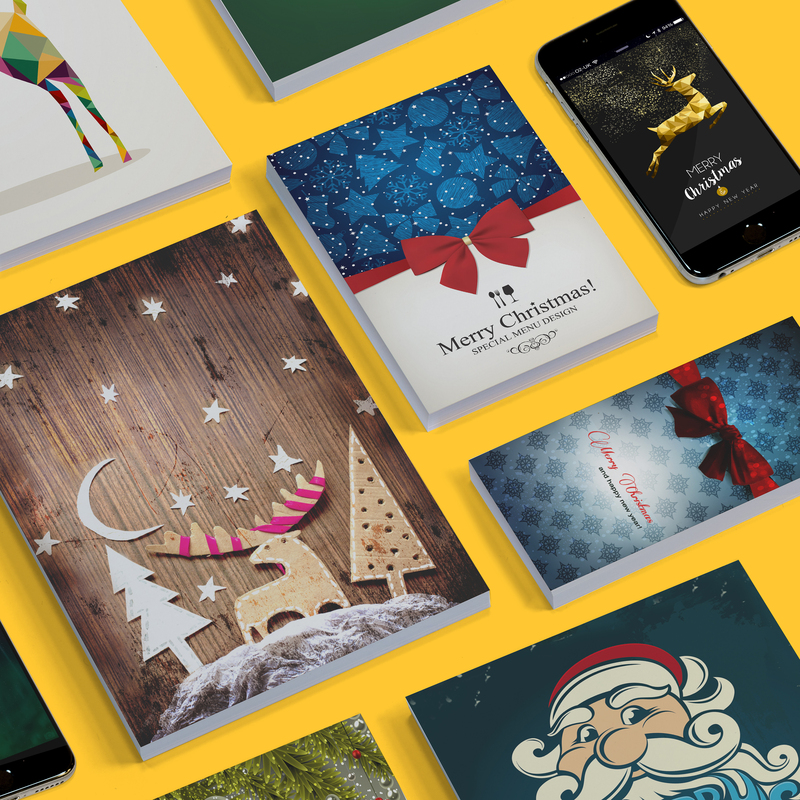 We can design, print or publish a festive card to compliment your business, we can include your logo, personalise each card and even print your envelopes and mail them on our Royal Mail account. • Ideal for clients, staff or family! Below is a list of our standard 2016 prices. If there is a quantity you need and it’s not shown just lets us know, we’re always at hand! *All prices subject to VAT at 20%. Don’t forget, we also offer a full design service and mailing service if required, we can even custom print your envelopes!